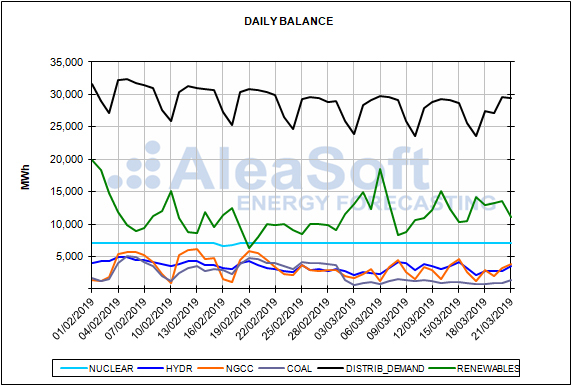 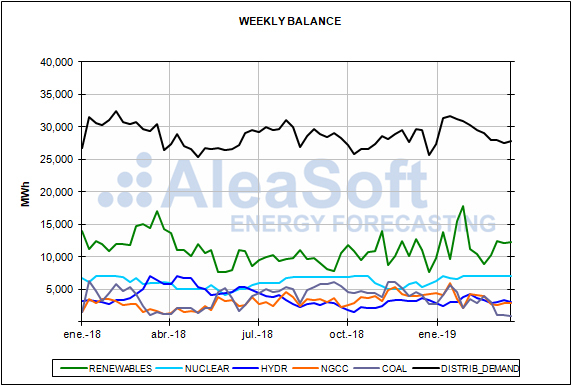 This week is being prominent in generalized falls for the European electricity futures markets, following the general trend of gas and coal prices, and a stable and smooth CO2 price. 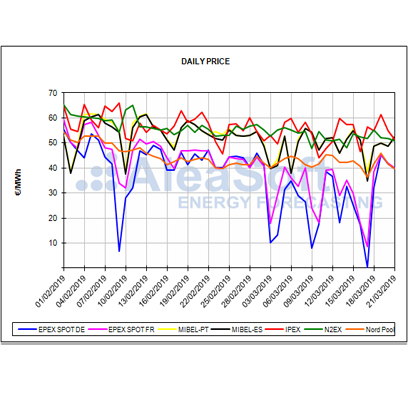 The price falls are noticed more in the closest contracts, for April and for Q2 of this year, while the longer term contracts, for Cal 20, even having decreased with respect to the previous week, are stable or rising in price so far this week. 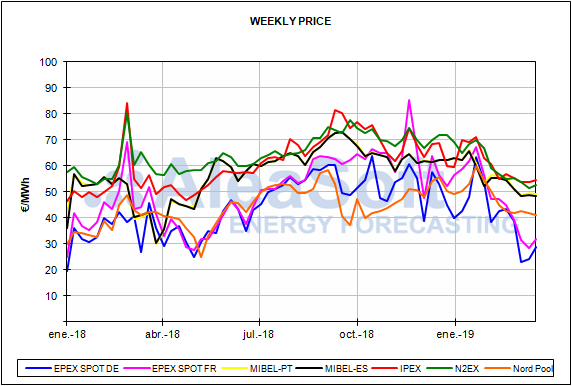 The Spanish electricity future for April has fallen by 3.4% since the end of last week, Friday March 15, in the OMIP market, and settled at 47.48 €/MWh on Wednesday, March 20, being the lowest price of the last six months, practically since its trading began. 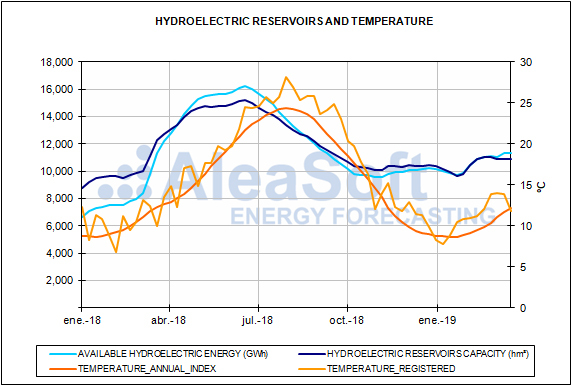 The future for the second quarter has also dropped by 4.1% since the end of last week, to 49.63 €/MWh on March 20, in this case the lowest value in the last nine months. 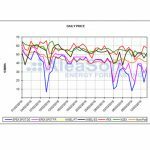 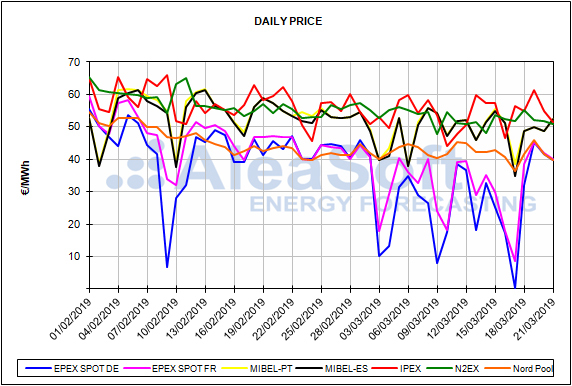 For its part, the future for the year 2020 hit bottom on Monday, March 18, with 53.00 €/MWh, the lowest value in the last eight months, but it rose to 53.33 €/MWh on Wednesday, March 20. 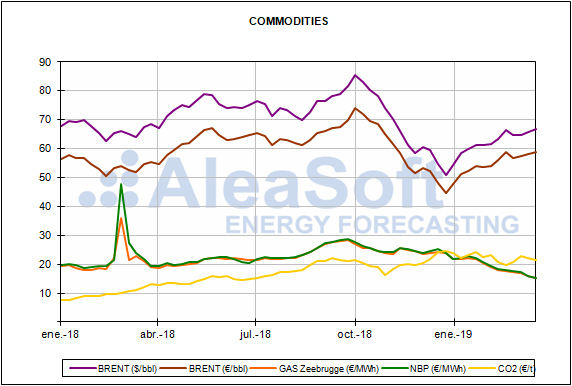 Similar values and behaviours occurred in the EEX market, with slightly lower prices for the Spanish futures. 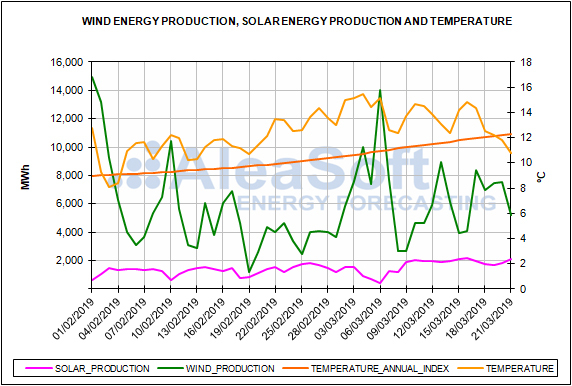 The solar energy production, which includes photovoltaic and solar thermal, has decreased 13% this week compared to the average values of last week. 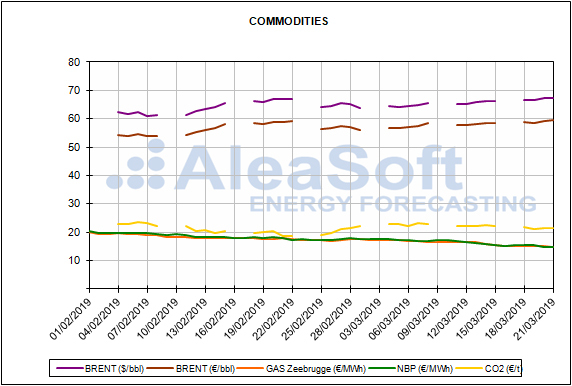 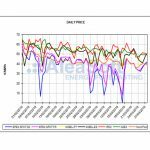 For the next week, in AleaSoft is estimated that it will remain at similar values to this week, with a tendency to increase.